One person was stabbed during an early-morning fight outside Gilley's Diner in Portsmouth, New Hampshire. 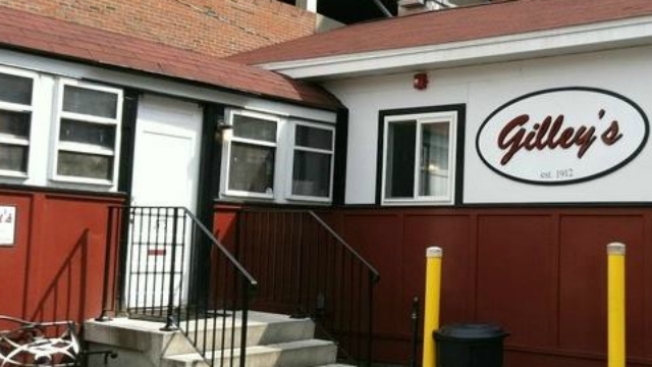 Portsmouth police said they received a call at 12:38 a.m. Tuesday from staff at Gilley's at 175 Fleet St. reporting a fight between two groups of males inside the restaurant. The employees had reportedly asked both groups to leave, and the confrontation continued outside and onto Fleet Street. When they arrived, police said one of the subjects was found with a stab wound in need of immediate medical attention. A police officer applied emergency first aid until emergency medical technicians arrived and brought the person to Portsmouth Regional Hospital. The stabbing victim underwent emergency surgery and is recovering in stable condition. A second person was also taken to the hospital with a head wound and later released. During the investigation, several people who were allegedly involved in the fight were identified by police and a K-9 officer was brought in to assist with the search. They were able to locate a knife nearby which may have been used in the stabbing. No arrests have been made at this time. Police said they believe this was an isolated incident and there is no threat to the public. The incident remains under investigation. Anyone with information is asked to contact Detective Erik Widerstrom at 603-610-7542. Those wishing to leave an anonymous tip can call 603-431-1199, go to www.seacoastcrimestoppers.com or send a text to CRIMES (274637) with TIPSCS in the message.